The age-old adage tells us that “health is wealth”, emphasizing not just the importance of one’s own health but the well-being of society also. New Zealand First have evidently taken this maxim to heart, as shown in their track-record in the 25 years they have been in existence so far. Just recently, the Party – one of the cogs making up the Coalition Government – saw one of its campaign promises come to fruition. Children under the age of 14-years old can now avail of GP visits free of charge, an important step to making sure serious illness is prevented with early intervention. Photo from NZ First’s official Facebook page. That policy was one of the concessions that NZ First demanded in their 2017 Coalition Agreement with the Labour Party, which may come as a surprise to those who believe the Party’s sole focus is on geriatrics. It is hard to fault those skeptics for having such a misconception, after all the political movement led by the Rt. Hon. 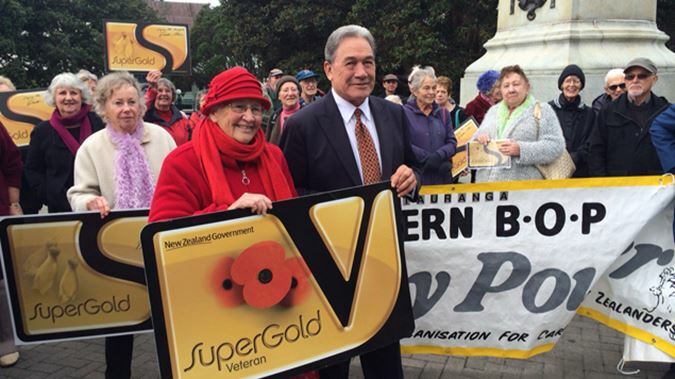 Winston Peters is best-known for producing the SuperGold Card for New Zealanders aged 65 and older. 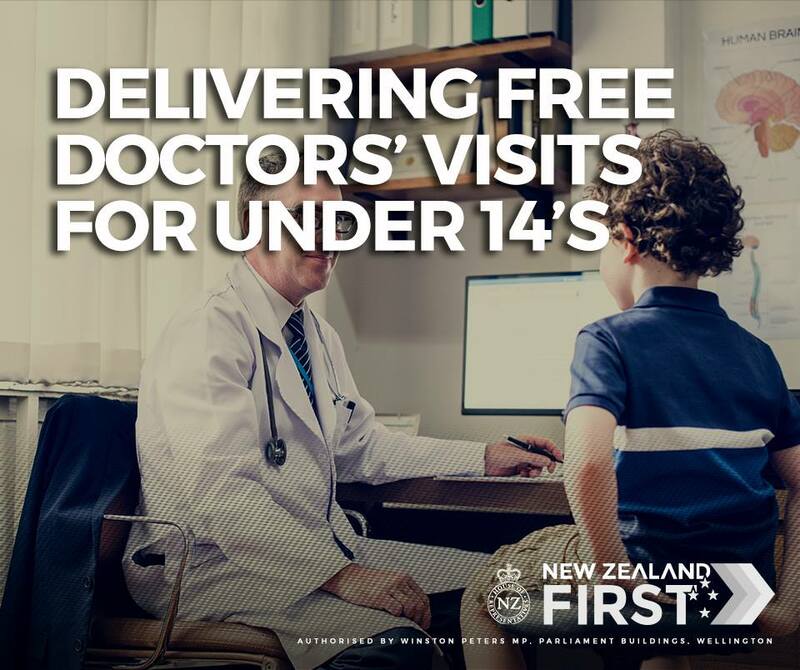 Little do they know that the newly-announced under-14s free GP visits is a mere continuation of a much earlier NZ First policy achieved in 1996, the last time they were in a Coalition Government with Jim Bolger’s National Party. Under that agreement, the Party secured free GP visits for under-6s which is an achievement they are not credited enough with. At the heart of providing affordable healthcare to young New Zealanders is the philosophy that prevention is better than cure, that it is not only more humane but also economical to treat illnesses at their early stages than when they have worsened. Part of this initiative is also to ensure that New Zealanders have a fair start to life. Healthcare is crucial to a person’s development and if only a select few in our society can afford it at a young age then we are breeding a culture of inequality, which is against NZ First’s ethos. 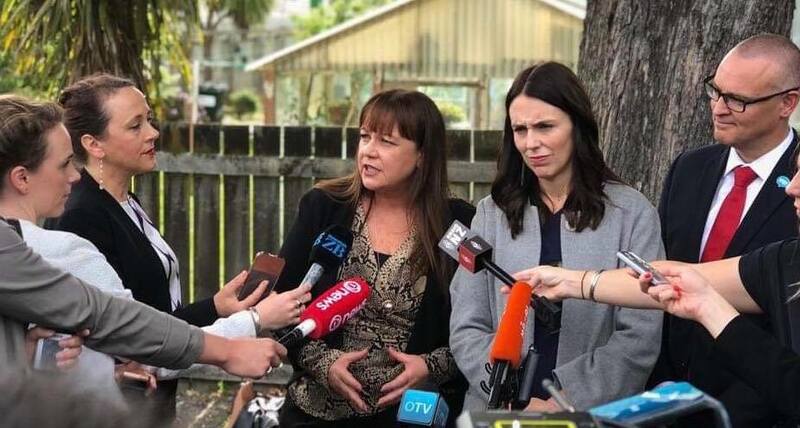 NZ First MP Jenny Marcroft (center) speaks to reporters with Prime Minister Jacinda Ardern and Health Minister David Clark standing beside her. Marcroft is NZ First’s official spokesperson for health. As the Party’s official spokesperson for health Jenny Marcroft MP told reporters at the policy’s unveiling: “we know that there are New Zealanders who are not visiting their doctors because of the cost and that is unacceptable”. The free GP visits was not the only policy that NZ First secured which made progress recently, the Mental Health Inquiry report was also released – which is a crucial document to help direct government policy on mental healthcare. It is no secret that New Zealand suffers from a mental health crisis, and this move by the Government to consult with stakeholders (clinical psychologists, social workers, mental health sufferers and their families, to name a few) across the country is vital to understand what policy should be implemented to tackle this serious problem. Aside from the free GP visits for under-14s and the Mental Health Inquiry, other items in the Coalition Agreement pertaining healthcare include: providing “Teen Health Checks” for all Year 9 students, progressively increasing the age for free breast screening to 74 years old and including free eye check-ups as one of the benefits of the SuperGold Card. As of now, the SuperGold Card provides senior citizens with free off-peak public transport and discounts in several trading places. For a long time, NZ First have been wanting to expand it to include healthcare benefits for seniors. 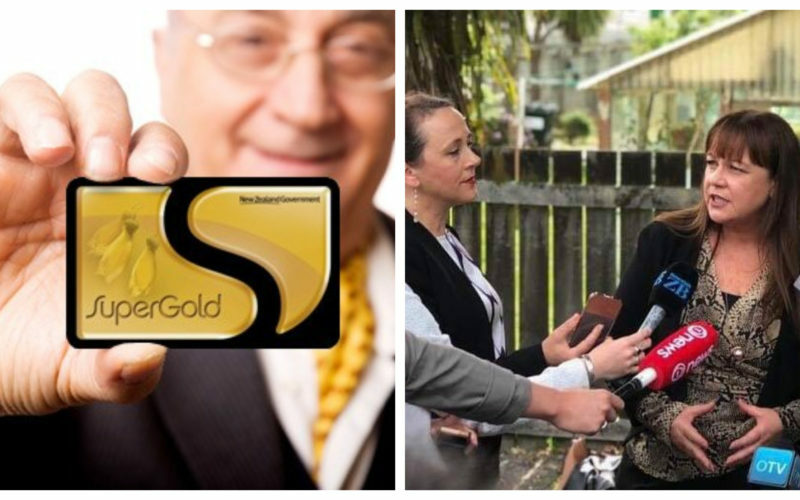 The announcement of an “new-generation SuperGold Card” which includes free doctors’ visit and one free yearly eye check-up was made in a speech by Party Leader Winston Peters in Takapuna, Auckland in September last year. 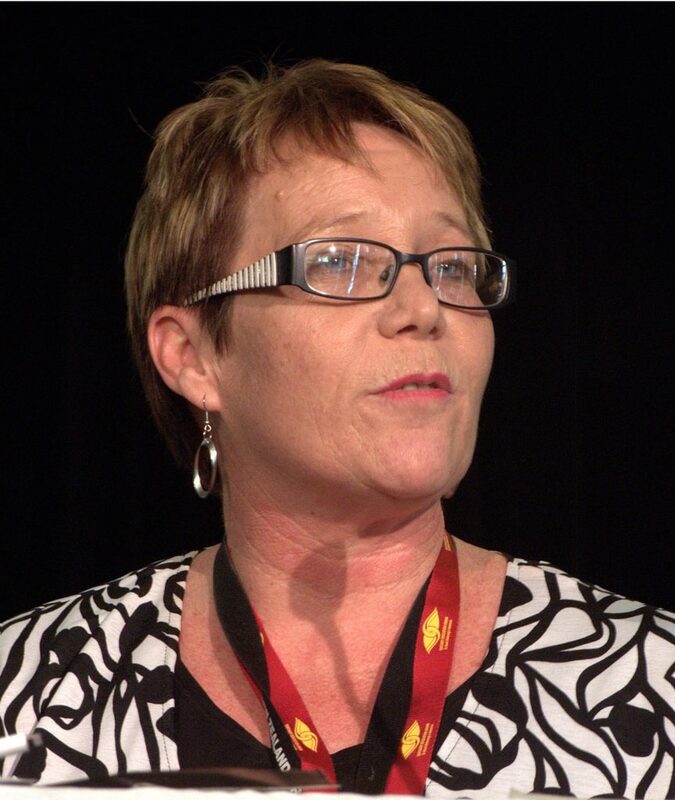 The changes made to the benefit card for seniors is slated to be announced next year, with Minister for Seniors Tracey Martin ensuring that the promised improvisations are achieved. Yet much earlier than that Takapuna speech, NZ First have already made an attempt to safeguard the health of the elderly through the Card. In 2015, a private member’s bill introduced by Peters sought to secure three free doctor’s visits each year narrowly failed to pass in Parliament. “Preventing hospitalisation is a huge financial cost saving for our health service and has far reaching benefits in terms of social, emotional, physical and psychological wellbeing, especially for older people,” the bill – called the “SuperGold Health Check Bill” – stated. Only Labour, the Greens and the Māori Party supported the legislation with National, ACT and United Future voting against it. In the end, the bill was defeated at first reading by a solitary vote. Even being in Opposition does not stop NZ First from having healthcare reform in their policy cross-hairs, in Government they have been aggressive in pushing for improvements to how well we treat our own citizens. The announcement of free GP visits for under-14s will be welcomed by young families, the findings of the Mental Health Inquiry is a relief for those who need mental healthcare and their families and the promise of an improved SuperGold Card will be eagerly anticipated by our seniors. And let’s not forget previous announcements made by the Coalition Government to rehabilitate decrepit hospitals and the construction of new ones. Rather than a Party only concerned about seniors and obsessed with immigration, there is a facet of NZ First that its critics rarely see – as a champion for improving access and quality of healthcare for all New Zealanders. This should be talked about more, and appreciated, by the general public.